It is the biggest and the newest studio in Estonia, comprised of the film studio, production studio, office spaces and common rooms as well as the makeup room. The studio has been built for film and photo shooting and organizing events. The whole area of the studio is 1130m2. The walls and the ceiling of the film studio have been painted black. The walls can be covered with black molton. Two thirds of the floor of the pavilion is covered with concrete and the rest is covered with plywood. The whole ceiling of the studio is covered with a changeable aluminium bridge. Black Box Studio complex allows you to shoot films, TV-shows, photo sessions, organize events, training courses, concerts and theatre performances, hold receptions. The studio accommodates a grandstand for ca 260 spectators and there is room for ca 450 people to enjoy a concert. With the secondary rooms it constitutes a whole to offer you full service. Every project is unique with its possibilities and demands. 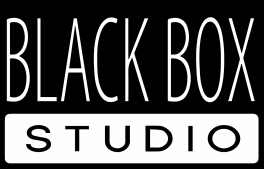 The ambition of Black Box Studio is to be the best associate in as many stages of work as possible. We will partner you during the whole project both in pre-production and production stages, on photo sessions and organizing events. Black Box Studio is located at the beginning of Viimsi, right next to the sea, and there is a large free parking area in front of the studio. To load technical equipment, the vehicles can be driven right into the complex, the door of which is 4.5 x 3.5 meters. Come visit us and we will introduce to you all the studio complex's possibilities along with the technical conditions.